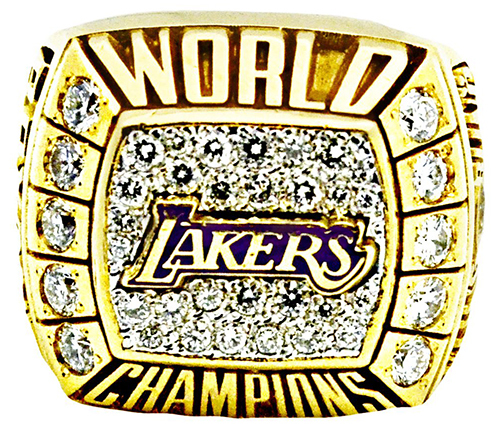 A championship ring Kobe Bryant gave to his father after the Lakers knocked off the Indiana Pacers to win the 2000 NBA title sold for more than $165,000. The ring was sold at auction by Goldin Auctions. After closing in the early hours of July 20, bidding on the ring reached $165,889.80 including the 20 percent buyer's premium. 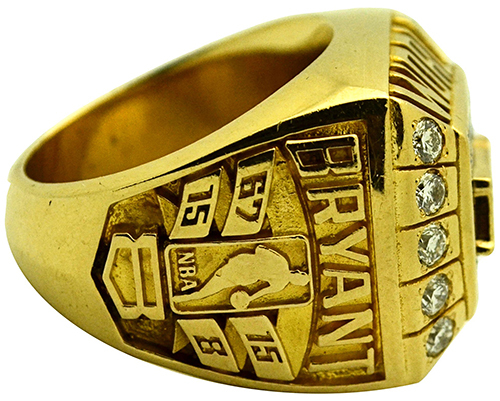 Kobe Bryant gave the ring to his father, Joe Bryant. It was an extra copy that the Lakers great ordered following the team's NBA Championship. It was made to the same specifications as the ones given to players. The gold ring has around 50 diamonds in it. The design includes Bryant's name and the team's record on one side panel. The other reads "Bling Bling" and features a diamond going into an engraved hoop. The ring weighs just under 60 grams. 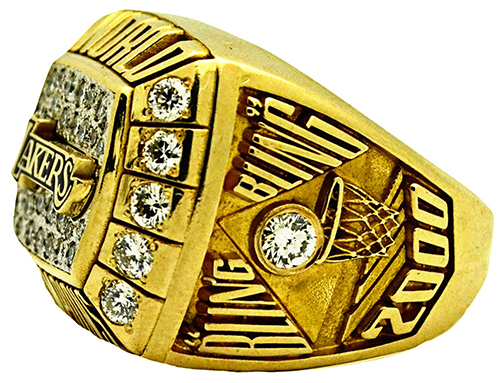 Although Kobe Bryant is a five-time NBA champion, this is the only ring he gave his father. It's also his first ring made available for sale. A similar ring Bryant gave to his mother, Pamela sold for $103,003.20. This ring is smaller in size. Goldin Auctions was supposed to have a lot more Kobe Bryant memorabilia in the sale but the court became involved when a dispute arose over who owned many of the items. Goldin consigned the items from Pamela Bryant. The two sides reached a settlement that allowed a handful of items to still hit the auction block with proceeds going to charity. Editor's Note: Prices were updated. When the piece originally published, the Goldin Auction site said prices were done. Over night, they did an update which resulted in the adjusted prices shown here. 2000 Kobe Bryant on Card Auto Upper Deck Ovation very Rare and Great Condition.